Posted 11 October 2013 & filed under Streets. 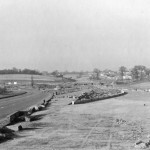 The images below are of the construction of the Park Street roundabout in the 1950s. 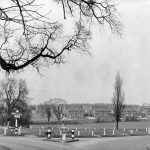 Before that it was not a roundabout but a junction between the A5 and A414 North Orbital. 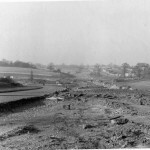 It was part of the construction of the M10 which was opened on 2 November 1959. The M10 was built to distribute southbound traffic on the M1 onto the A5 (now A5183). 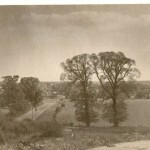 Photos by F.W Beardmore. Reproduced courtesy of Alan Beardmore.